OEM Front Cover Spring fits Yamaha & Kawasaki supplied with 2 washers. 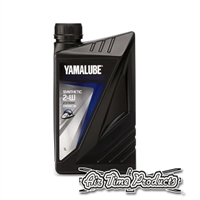 A premium semi-synthetic oil, specially developed, tested and approved by Yamaha for 2 stroke Yamaha personal watercraft engines. ATP Water sprayer fitting. For use in header pipe, water injection sprayer fitting. Header Pipe screw & repair kit for Factory B Pipe with T Bar. The idea of a flow valve is to regulate water to the stinger. OEM Engine Mount for all years Yamaha Superjet. ATP Girdle kit for the ATP G2 Cylinder head offers a true girdle. ATP Aluminium Waterbox - been delivering power increases and waking up engines since 2009. ATP Aluminium Waterbox SXR- been delivering power increases and waking up engines since 2009. 100% Carbon & Epoxy- No wrap or hydro dipping the real deal.